Well hey there! Happy “very hot Sunday”! Right now, as this magically publishes thanks to the magic of the internet, I shall be part way round Run Norwich 2018. It’s supposed to be hot, so after my meltdown 2 years ago I have treated this race as a nice relaxed jaunt. I shall run slow, drink water, walk up hills and generally enjoy the atmosphere. Next week I will be sure to fill you in with all the details but for now, this week I…..
Well, what a way to start, with that horrible photo of me looking drenched and miserable. There were some small thunderstorms over the weekend, and temperatures had dropped slightly, though it was still very humid. On Monday I headed off to the Gym, on a hot, humid and slightly overcast day with no idea of what awaited me. 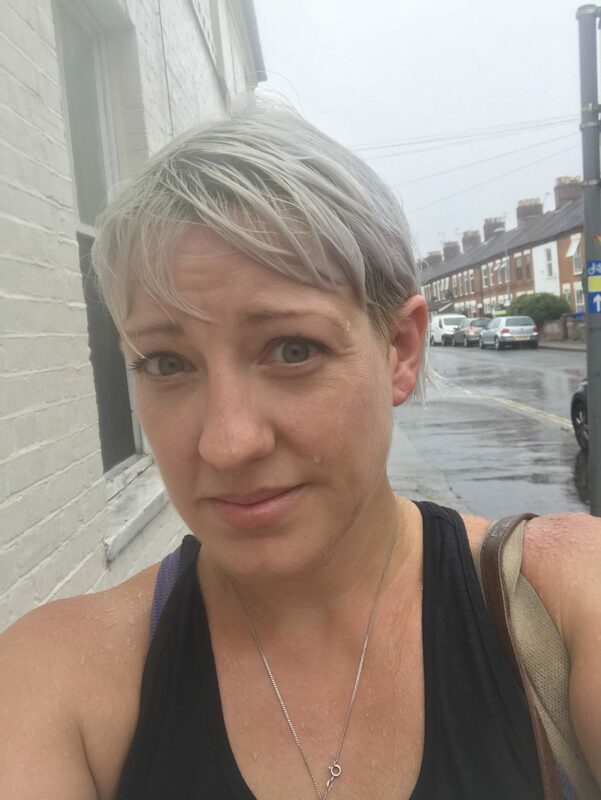 As I left the gym my trainer apologised for not being able to give me a lift, as it had started to rain very slightly. “Not to worry”, I said glibly “I’m looking forward to the walk in the rain”. Within 10 minutes the few spots of rain had turned into a torrential downpour that felt like standing under a shower. By the time I got home 20 minutes later I was squelching and leaving little drippy puddles. Also, the weather did not cool down. I am unimpressed. And I was so excited by it I didn’t take a single photograph. In fact I’ve been very bad in general this week for taking photographs. On Tuesday an old school friend of mine happened to be in Norfolk and we arranged to meet up for lunch. I ate avocado and didn’t even take a photo, it’s like I don’t even blog at all. I also had a haircut that morning and I didn’t photograph that either. It was a lovely lunch and great to catch up with someone I’ve been friends with for over 25 years, and her 9 month old baby boy. This I did photograph, though I wish I’d moved the unphotogenic squashed can from the foreground! 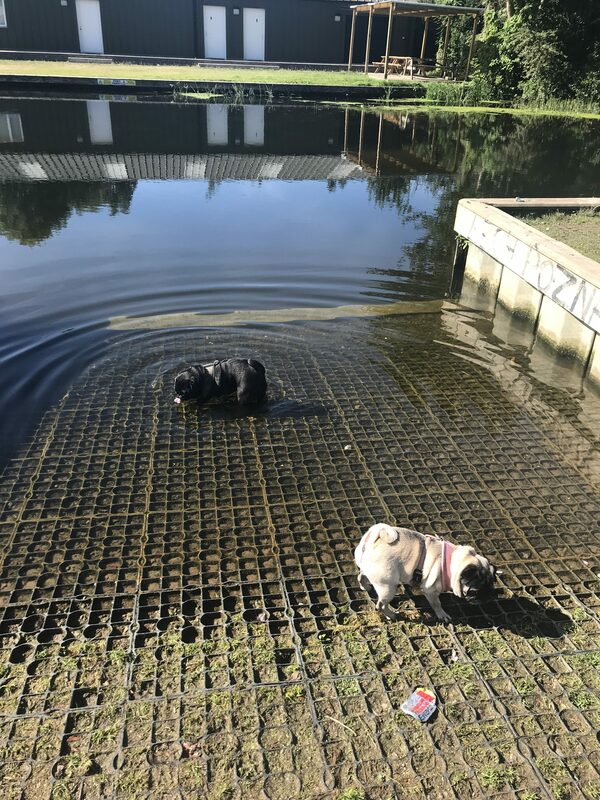 The Pugs aren’t exactly big swimmers, they’re not exactly streamlined, but do they love a paddle. Especially when its hotter than the sun. We’ve only been walking them early in the morning and later in the evening to keep them out of the worst heat, but we do have to walk them as they are fussy little gits who have decided our garden isn’t an appropriate bathroom. One of our walks contains a convenient Pug sized paddling area at the edge of a river, and this week they loved it. Those of you following the ongoing saga of my High Blood Pressure that started with by Bupa check-up earlier this year may remember a couple of weeks ago when I discovered I had irregular arteries going to my kidneys and may need to have an angiogram. The appointment with the kidney specialist was this week. Firstly I discovered that I was right, and what they suspect I have is a condition called Fibromuscular Dysplasia, which means the artery walls randomly narrow in places so that they look a bit like a string of beads. I also have one kidney slightly smaller than the other, possibly because of a reduced blood flow. 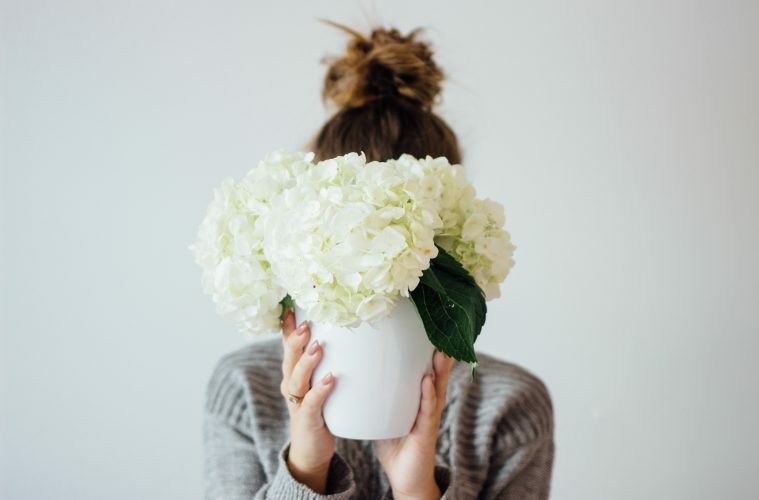 The Doctor told me they wouldn’t know for sure unless I had an angiogram, and, hey, while they were poking around in my arteries, if they DID find a narrowing then they could blow up a balloon and try and inflate it while they were there to widen it up a little. On the plus side, this could fix the problem completely and I wouldn’t have to take blood pressure medication. On the downside they could potentially cause a blood clot that would lead to major surgery and me losing a kidney. He also suggested they would try this on the smaller side first “so there was less to lose”. I said that on balance I actually didn’t mind taking one tablet each day, especially considering I already take several other tablets and that a scale with “no tablets” on one end and “major surgery and losing a kidney” on the other wasn’t one I was interested in gambling with. If the other end of the scale was “reduced kidney function and you might lose the kidney anyway” then maybe I’d give it a go. So, for now, no one is poking round in my arteries. I have to go back in 6 months, at which point artery poking will be discussed again. I do want to add, that as much as I don’t want angiograms and MRIs and all that nonsense, it is a relief to know that this is now being monitored and could potentially avoid causing me worse problems in the future. If I hadn’t been for the Bupa health assessment it would likely not have been picked up until something went wrong with me because of it. So it was totally worth it. My extremely fancy touch screen Lenovo Yoga laptop has been threatening to have a meltdown for some time. Last October it threw a fit and I lost years of work. Earlier this year it did similar, only now I am better at backing everything up to the cloud. The wifi adapter frequently drops out completely or completely disappears and when I restart the laptop it comes up with scary messages about missing boot media, that then disappear if I turn it off and turn it on again. I suspect a hardware issue, but I have been putting off replacing it, because frankly I can’t afford to, and definitely not with something as high spec. This week, after an irritating day repeatedly restarting the adapter and laptop I gave in and maxed out my credit card buying a laptop. 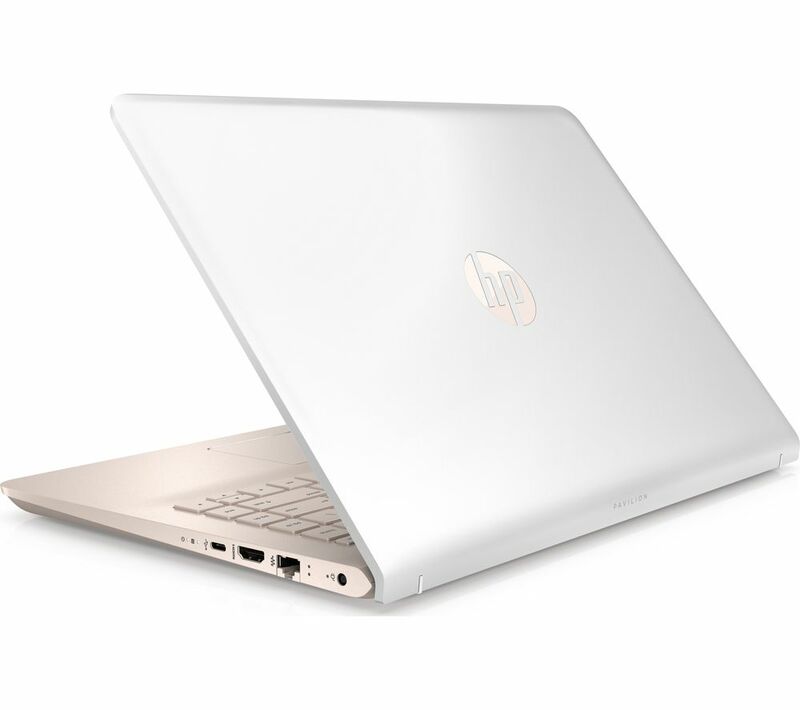 It is lower spec, but I saved money finding it on Dealbuyer, and it is also white and rose gold which sounded like the sort of laptop a blogger ought to have. Here it is from the website. If it looks as pretty in real life then I promise to take an instagram photo of it, probably with some smashed avocado toast and a flat white next to it. And found my name on the big Run Norwich board. Because today is medal and banana day. 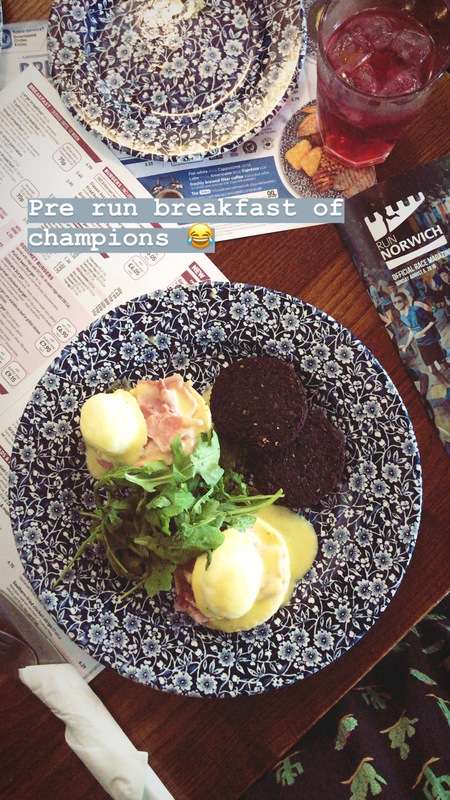 We also stopped at Wetherspoons for breakfast, I’m pretending it’s pre-race fuel, if you can call Eggs Benedict with extra black pudding pre-race fuel…. And that was another week in my life. How was your week?